Earlier this month, we celebrated Three Kings Day at Disneyland park, and some of our Disney Parks Blog readers asked whether we would be celebrating the Lunar New Year as well. Today I have great news for you – we will be celebrating this tradition from January 20-29 with special decor, cultural performances and character meet-and-greet opportunities in front of “it’s a small world” at Disneyland park! The Happy Lunar New Year Celebration! will pay tribute to the traditions and family celebrations observed within the Chinese, Korean and Vietnamese cultures, observing the time when the sun and moon begin their journeys for another year. In addition to enjoying performances by Chinese, Korean and Vietnamese musicians and dancers, Disneyland park guests will be able to visit with Mulan, Mushu and other Disney characters. Come celebrate the Lunar New Year at Disneyland park, January 20-29! I love that Disney celebrates all of the different cultures! I definitely hope that Disney will celebrate the Lao/Thai/Khmer/Burmese new year as well! That would be so cool, and I’d fly out there to celebrate in a heartbeat! I’m driving down to Disneyland tomorrow and had no idea this was going on. I can’t wait to stop by with my family and check it out! Great news! Just visited the 3 Kings celebration and loved it. Hope that the Lunar Celebration becomes an annual event at the park so we can plan another visit. Would love to see Disney celebrate more cultural events and would love to see Mulan more often at the park. 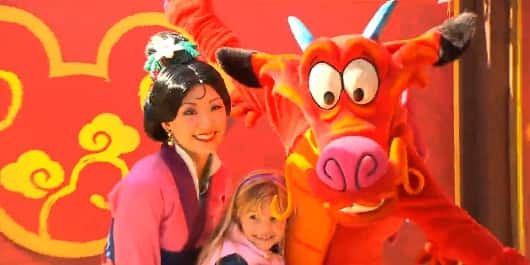 I see Mulan and Mushu quite often at California Adventure, in Pacific Wharf. I love seeing characters we don’t normally see around the park. Thank you Disneyland for celebrating different cultures! Any chance on seeing Family Fun Weekends again? That was great use of the Festival Arena space! Thanks for the info! My daughter loves to dress as Mulan for Chinese New Year. What times will the events be taking place? I was quite disappointed last year that it all seems to end about 5 pm. It is difficult for us to get to the park after school much before then. In any case, looks like Mu Shu will get a lot of attention for our Year of the Dragon! Are we going to see a Dragon dance–local kung fu clubs will know how to do this. I second the idea of Songkran at Disneyland! (see #4 Shawn above) My wife is Thai and our daughter enjoys Thai cultural celebrations. The Play Parade would a natural tie-in with water blessings! Sawatdee pi mai! Also, while I did enjoy the Dia de Reyes celebration, I did find it often confusing with the character meet-and-greets. I kept wanting to meet the Three Caballeros and scheduled morning visits only to find out they were coming out later in the afternoon. I hope the characters will be out like they were last year where they are out throughout the day. Happy Year of the Dragon! Excited to attend the Lunar New Year festivities next week! i am soooooo excited to meet mulan! when ever we go we try and get autographs so far were around 53 so far! So many more to get! *than. “I would love to see her more THAN just the Lunar New Year.” My mistake. I am so excited to actually be here for a special event. 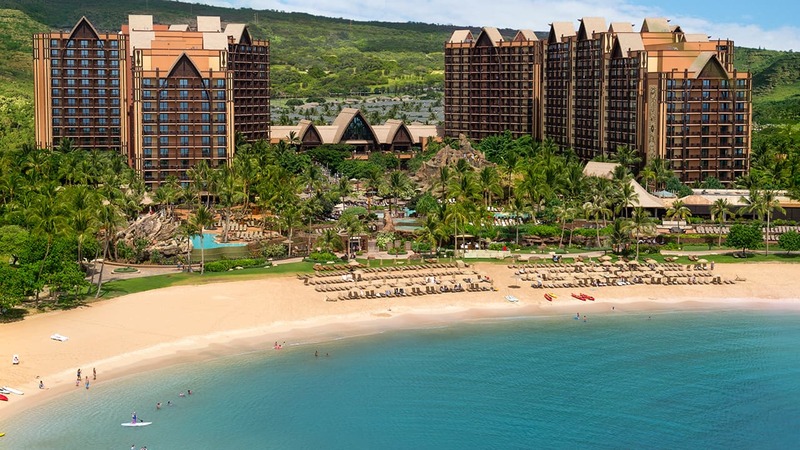 All have to dash over (ha) there after the Tinkerbell half marathon. So excited! I preferred the Festival Arena for these events last year. These make crowded walkways that much worse. Any chance that come April you’ll have Songkran (Thai/Lao/Cambodian/Burma/Sri Lanka New Year) activities? Los Angeles has the largest population of Thai people outside Thailand, while Long Beach has the largest Cambodian population outside Cambodia. Thanks Disneyland for celebrating the various cultures of the community. Three Kings day was fun and I’m looking forward to the Lunar New Year. Thanks for having the Lunar New Year celebration again. I had a great time at the Three Kings function. The characters are so fun. I love how DL is celebrating these cultural traditions. It brings such an added bonus to the park. I enjoyed Three Kings Day, and I can’t wait for this. Thank you!